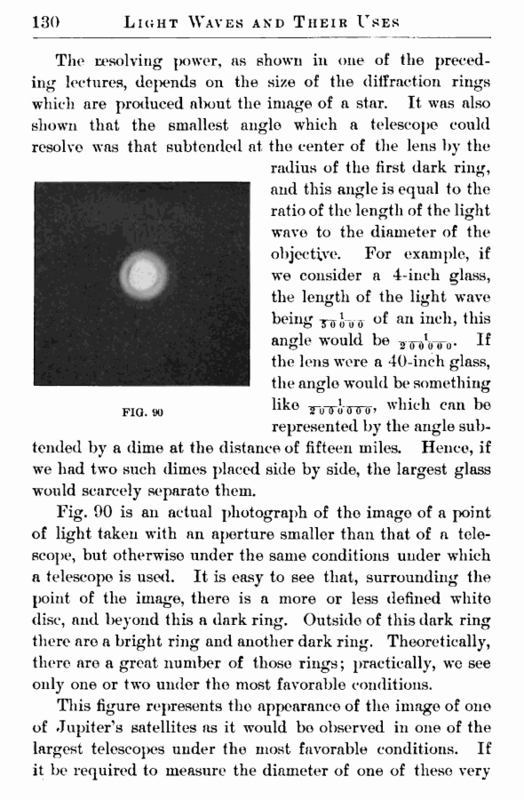 the lens were a 40-inch glass, the angle would be something like YwJ-crrro, which can bo represented by the angle subtended by a dime at the distance of fifteen miles. Hence, if we had two such dimes placed side by side, the largest glass would scarcely separate them. Fig. 90 is an actual photograph of the image of a point of light taken with an aperture smaller than that of a telescope, but otherwise under the same conditions under which a telescope is used. It is easy to see that, surrounding the point of the image, there is a more or less defined white disc, and beyond this a dark ring. Outside of this dark ring there are a bright ring and another dark ring. Theoretically, there are a great number of those rings; practically, we see only one or two under the most favorable conditions. cent., while in some measurements there are errors of 20 to 30 per cent. 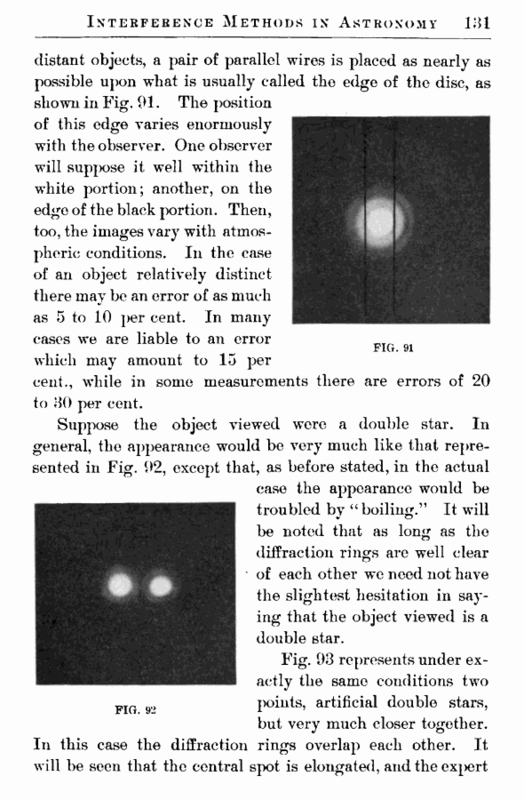 case the appearance would be troubled by “ boiling.” It will be noted that as long as the diffraction rings are well clear of each other we need not have the slightest hesitation in saying that the object viewed is a double star.